To fill the hour, and leave no crevice … that is happiness. Today’s AutoCAD tip is to always maximize your AutoCAD window so that it completely fills the monitor screen. 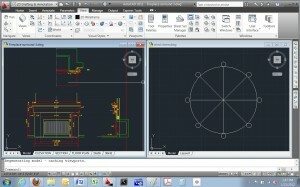 I recommend that you do this, or verify that it is automatically done, immediately each time you open AutoCAD. 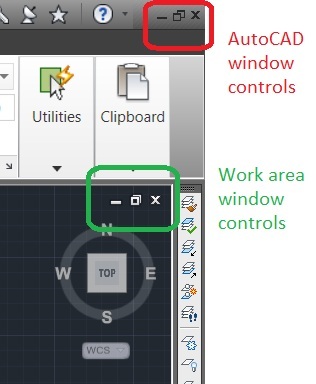 This ensures that all of the buttons and other parts of the AutoCAD interface are visible– not hidden by the Windows taskbar at the bottom of the screen, or by the frame of the monitor. Notice that, like other Windows-based programs, the Maximize button changes to a Restore Down button (which looks like two overlapping rectangles) when you maximize the screen. Restore Down shrinks the window to the size it was before it was last maximized. 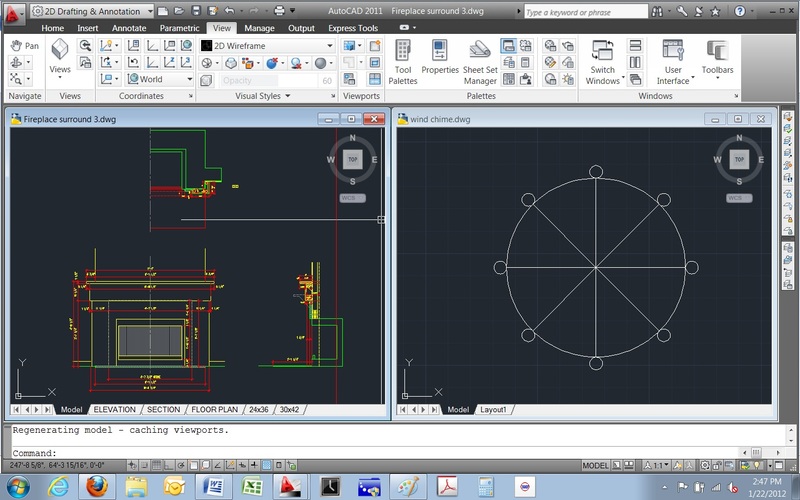 Note also that you can Maximize or Restore Down the AutoCAD work area window inside of the AutoCAD interface. This Maximize button is white on black, whereas the overall AutoCAD window Maximize button is black on gray. Bonus tip: If you want to tile two or more files’ windows inside the work area, you must do a “restore down” on both of them first, so that they only fill part of the work area space. The two windows cannot be maximized, or minimized, they must be restored down. The Vertical Tile button is in the View tab of the ribbon, in the Windows panel. See the example below. Send your comments, we love hearing from you.